At The Plano Eye Care Center, our team of Plano optometrists takes great pride in being the area’s go-to location for all their eye and vision health needs. 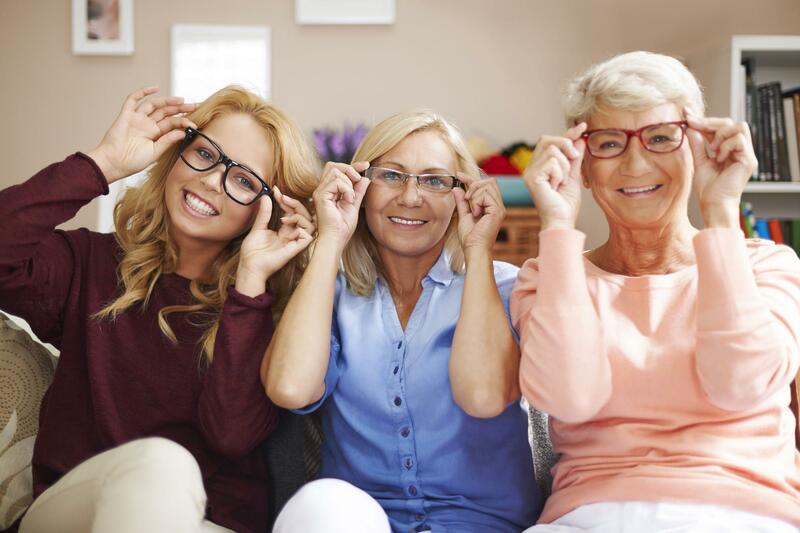 From comprehensive eye exams to testing and treatment for eye diseases, our knowledgeable and experienced team is here to assist patients of all ages. We’ve been serving Plano and the surrounding areas with the highest standard of care since 1985 and are always happy to accept new patients. We also accept all major insurance plans, making the quality eye and vision care you deserve more affordable. We know that you have a choice when it comes to who you trust with your eye and vision health needs. However, there are many things that set The Plano Eye Care Center apart from other optometrists in the area. For starters, our very own Dr. Khoja (owner and optometrist) is certified in fitting Paragon CRT, Kerasoft IC, and the SynergEyes family of contact lenses. Therefore, if you have been thinking about making the switch to contacts or are unhappy with your current contacts, there is no better place to come than our office. Furthermore, we are proud to be certified and rated as an “A+” with the Better Business Bureau, thanks to the many years of excellent service and the great reputation we have established with our patients. This gives you added peace of mind in knowing that when you schedule an appointment with us, you’re scheduling an appointment with the area’s best eye care professionals. We also take great pride in the state-of-the-art technology we have in our Plano office. This includes everything from our Optomap retinal exam, corneal topography machine, and I-Vue screen, all of which make for a more enjoyable experience in our office and allow us to provide patients with the absolute highest standard of care. Many of our patients especially enjoy the Optomap Retinal Exam technology that we have available, as it allows us to see in detail the interiors of the eyes without the need for eye dilation drops! We also have our very own on-site optical lab, so in instances where further testing and diagnostics are needed to make a diagnosis, you can rest assured that you’ll have your lab results back as quickly as possible. Our full-service practice is able to offer a wide range of eye and vision care services by our eye doctors in Plano. The most common service we provide is that of our comprehensive eye and vision exams. However, we also offer specialized contact lens exams and a wide variety of optical services (glasses, specialty contacts, etc.) to suit your needs. We also offer treatment for any number of eye emergencies, from foreign objects lodged in the eye to other injuries and infections. Our professionals have the experience and resources to act quickly and provide the proper treatment. Finally, if you are experiencing any symptoms of an eye condition or disease, such as glaucoma, cataracts, or even dry eye, we can help. We provide testing, diagnostics, treatment, and management for any number of eye diseases. Whether you need medicating drops to address dry eye syndrome or even a surgical solution to treat cataracts or glaucoma, you can always rest assured that you’re in good hands. Request Your Appointment With Our Plano Optometrists Today! Ready to schedule your appointment with our Plano optometrists? Feel free to give The Plano Eye Care Center a call today at 972-964-3937 or request your appointment online. We’d be happy to find an appointment time and date that suits your needs, as well as to answer any questions you may have. Our office is conveniently located on W. 15th St. and is accessible via all major roads. We are located near West Plano Parkway, between Plano Baylor Regional and Medical Center Hospitals. We are proud of our office, which fully utilizes state of the art equipment.